HORROR EXPRESS: Two Terror Titans Get The Duo Act They Deserve – Schlockmania! 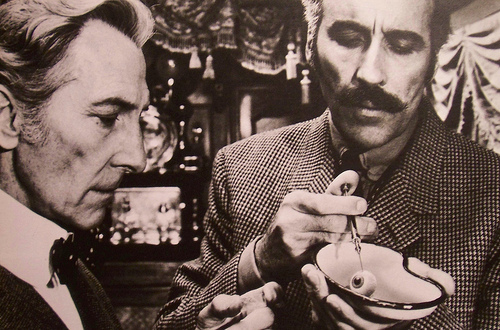 If you’re a horror fan of a certain age then the idea of Christopher Lee and Peter Cushing teaming up in a movie together is the kind of thing that gets your pulse racing. They were two of the finest actors the genre has ever had and their real-life friendship ensured that they had great on-screen chemistry. That said, the presence of both men in a film’s cast doesn’t mean there is always a lot of chance for them to let their genius-actor sparks fly: even in gems like Horror Of Dracula or Scream And Scream Again, their onscreen time together was often limited to little or none. However, fans of these actors can take comfort in an enduring classic that allows them to show what they could do as a team: Horror Express. 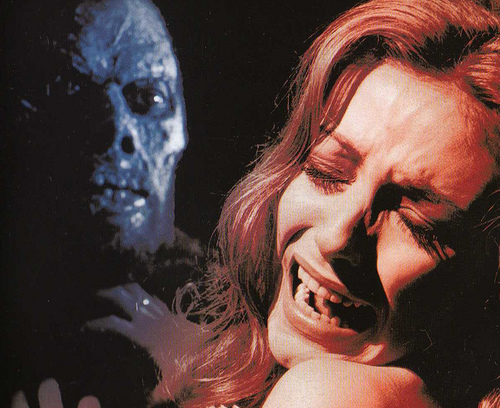 This veteran of the bargain bins has wowed many a horror buff over the years, serving up a tale that delivers comic-book fun and intelligent surprises in a sharply-paced little package. The fact that it offers a great set of roles for Cushing and Lee is the cherry atop the sundae. The plot of Horror Express feels like it sprang directly from one of the old horror pulps, right down to its 1906 setting. Anthlopogist Alexander Saxton (Lee) finds what he considers to be the missing link in the chain of human evolution in Manchuria and has it hauled to the Transiberian Express so he can bring it home to England. In the process, he runs into Dr. Wells (Cushing), a competitive scientist who is curious about his discovery – and who also has a worldly way about him that annoys Saxton. Simply put, Horror Express is exactly the kind of cracking yarn you hope for when you check out a horror flick of this vintage. The script is wild but also skillfully-crafted: imagine Alistair MacLain writing a train-set remake of The Thing From Another World that also throws in elements of Chariots Of The Gods and the Irwin Allen-style disaster flick – that’ll give you an idea of the fun on display here. Better yet, the characterizations are surprisingly sharp and the latter half of the film has some interesting commentary to offer on religion. 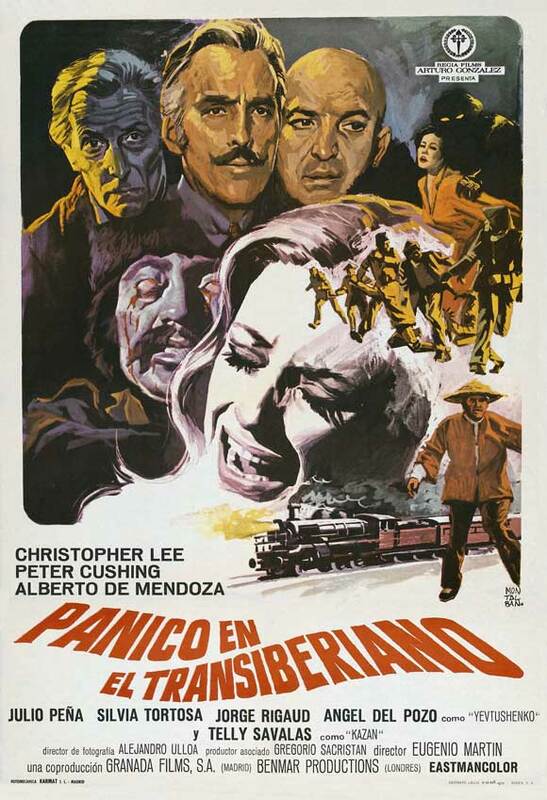 Better yet, Horror Express is directed in an appropriately full-throttle style by Eugenio Martin, who maintains a white-knuckle pace that deploys both adventure movie tactics and horror atmosphere with confidence. Some scenes mix both, the best being a scene where the creature takes on a bunch of soldiers in a darkened train car. Martin’s not shy about spilling a little blood either, as a surprisingly gruesome-for-the-time brain surgery scene shows. Even the man-in-a-suit creature scenes work better than they might have otherwise because of his intense, kinetic approach to them (great use of dissolves and hand-held camerawork here). However, the element of the film that really sells the wild storyline is the performances. Cushing and Lee are typically professional, effortlessly selling the most fantastic of plots as they always did, but they show extra inspiration here since they have a chance to bounce off each other. Lee does the imperious, snobby archetype to chilly perfection while Cushing offsets him nicely as a more charming and low-key but amusingly devious example of the “smooth operator” variety. The duo’s work is nicely supported by a variety of capable supporting performances. For instance, Julio Pena offers an effective, subtle turn as a policeman who faces unexpected challenges from the creature and Eurocult regular Helga Line is fetching as an example of local royalty. However, the scene-stealing performances come from Alberto De Mendoza as a Rasputin-ish priest whose concept of religion is challenged by the story’s turns and Savalas as the boisterous Cossack captain. In fact, you could say Savalas takes over the film for a reel with his freewheeling, campy turn – but it’s undeniably entertaining and adds an extra boost of energy late in the film. 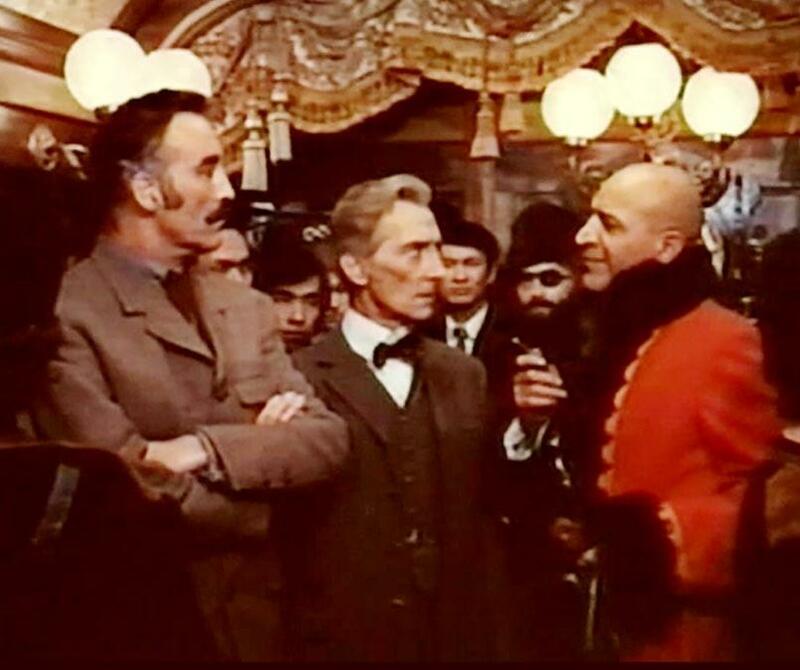 In short, Horror Express is the kind of smart, mid-level horror flick that proves b-movies could as inventive and gripping as their better-budgeted counterparts – and best of all, it’s home to the definitive Lee/Cushing pairing. If you haven’t seen it yet, get thee to your preferred cult video emporium, post-haste.